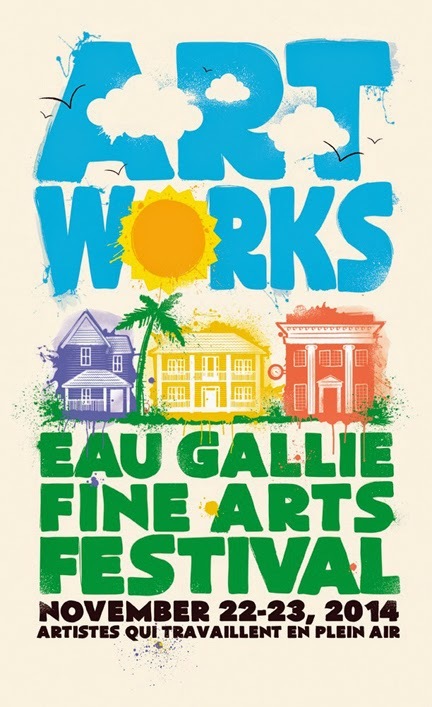 Don't miss the ArtWorks Eau Gallie Fine Arts Festival It is this coming weekend and has something for everyone. It is two days of showing the public how artists work in their medium. Great music and food come along with the package. ArtWorks utilizes the talents of local musicians (including local high school ensembles) and local food vendors. There will be 100+ artists demonstrating their skills along Highland Avenue and the side streets. The Florida Chalk Artists will be there too. And in the Civic Center will be the Meet the Authors Book Fair and the Porcelain Artists. So there is something for the whole family. Be sure to drop by and enjoy. Artists.... Cindy sent me her booth number. Anyone else want to do the same. I'll be glad to add them on.